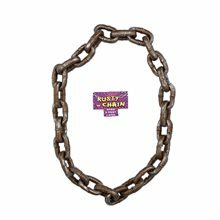 Jumbo Ball and Chain.Includes: One jumbo ball with chain.Material: Plastic.A great finishing touch to your convict, jailbird, husband or other captive costume. 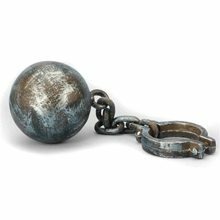 Jumbo ball and chain are made of plastic with jumbo links and painted to give it that eerie, old looking, rusty effect. 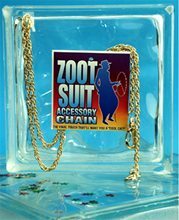 Zoot Suit Chain;This 39" long gold chain will add that extra special flare to your gangster costume. Both ends have clasps and will easily attach to a belt loop, wallet or even a pocket watch! 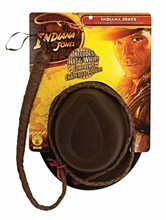 It includes Indiana Adult Hat and Whip.It is a licenced Product from Indiana Jones.It is very good accessory for your costume. Zorro Whip with Sound.Includes: One Zorro Whip with Sound. 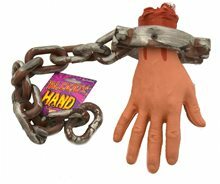 *Batteries, Costume and Accessories Not Included. Sold Separately.The whip makes a snapping sound and has an injection molded handle. Use the on/off switch on the handle to control the sound.This is an officially licensed Zorro product . 9ft Bull Whip.Includes: One 9ft Bull Whip. Dimensions: Approximately 9ft Long. *Costume and Accessories Not Included. Sold Separately. What action hero is complete with out his bull whip? 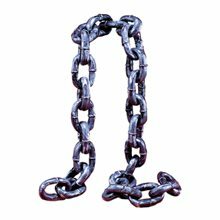 Add this 6 ft. accessory to your outfit and save the day! Bullwhips are popular items, whether you're adventuring abroad or at home. This Bull Whip is 9 ft long. 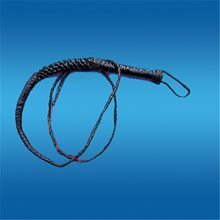 Cat Whip Leather 9,This is a great prop for pirates, torture chambers and haunted houses. Cat of nine tails has a 9" Wooden handle wrapped in leather with 9-11" leather strips on the end.